Every time you edit your code, do you want to go jslint.com, paste only the relevant portion of your code, fix the errors locally, rinse and repeat? Anything that causes friction won’t get done. Let’s minimize that. 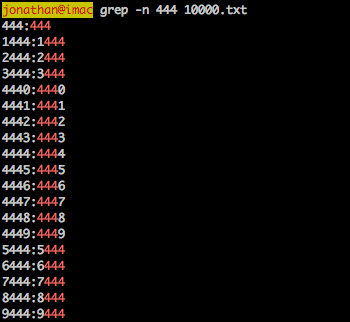 I named it ~/etc/bin/jslint (chmod +x). 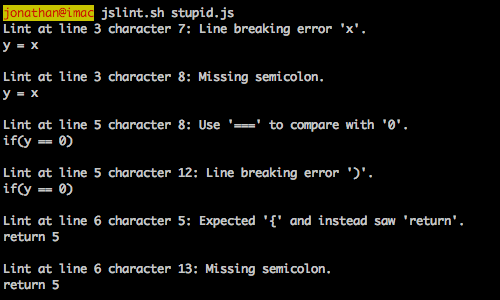 The undef option will make JSLint complain about using the global variable y which definitely looks like a mistake. The full list of options is available here. Web development means working at a very high level of abstraction. For the magic to work, a multitude of technologies must also work: networks, sockets, HTTP. Like all leaky abstractions, however, we can sidestep a lot of the complexity until things stop working. 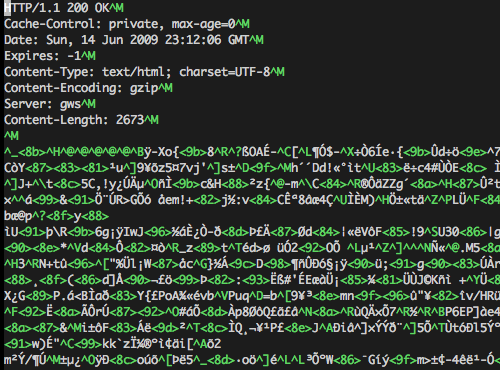 Netcat does exactly what its name says: it cats stuff over a network. It can send or receive bytes over the network. This is probably one of the fastest and most casual way to transfer a file between two systems. Nothing (besides nc) needs to be installed, no authentication or encryption is performed. I would reserve this use of netcat for post-apocalyptic server crashes where you need to transfer files but nothing is installed and zombies are about to come crashing in. Open localhost:9999 in a browser, get served, byte-for-byte, what google would have served you. 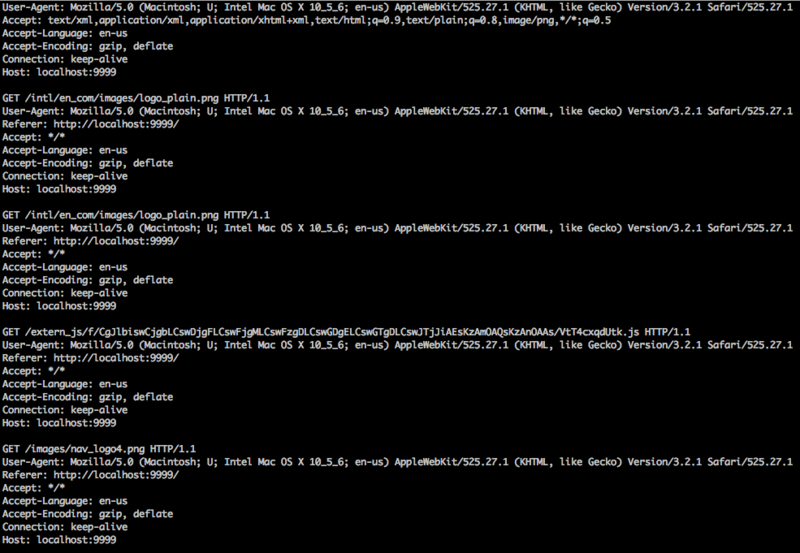 I’ve used netcat in the past to debug gzip compression on nginx and lighttpd. With browsers and curl/wget all doing-the-right-thing with/without gzip compression, how can you really tell if it’s enabled or not? You can also use it to spoof requests. Both a request or a response file can be trivially changed whereas the same effect could sometimes be achieved by making significant and/or time-consuming configuration changes to your setup. Of course, this is not limited to HTTP. Extend the ideas here to fit your life. Netcat is not the ultimate-solution™. It is called the hacker’s swiss army knife. It’s the kind of program you don’t need until you really do.